The rise in data breaches has caused a climate of fear among online consumers. 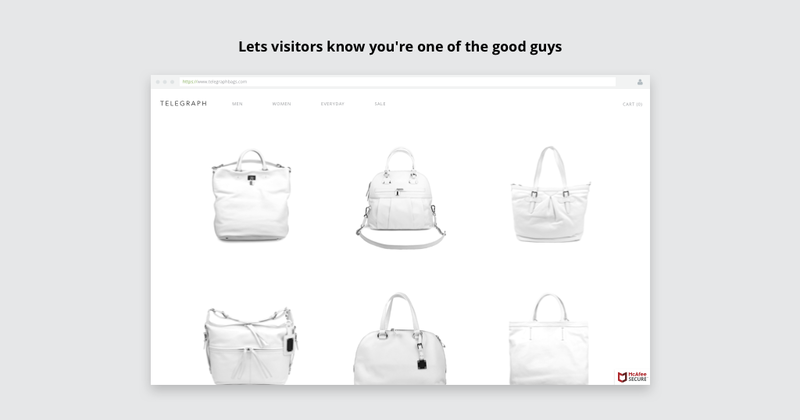 As a small business owner, you need to show you're one of the good guys. The McAfee SECURE trustmark helps solve this problem by letting visitors see that your online store is safe—alleviating security concerns and increasing engagement and conversions. Add the app to your site and display the trustmark for up to 500 visitors per month, at no charge. Get your site scanned for malware, viruses, and other malicious activities. Once your site is certified, the trustmark will automatically appear on your product pages and throughout the checkout experience, letting your customers know they're on a SECURE site. It's as easy as that! Go Pro and Gain More Traffic, Trust and Sales. 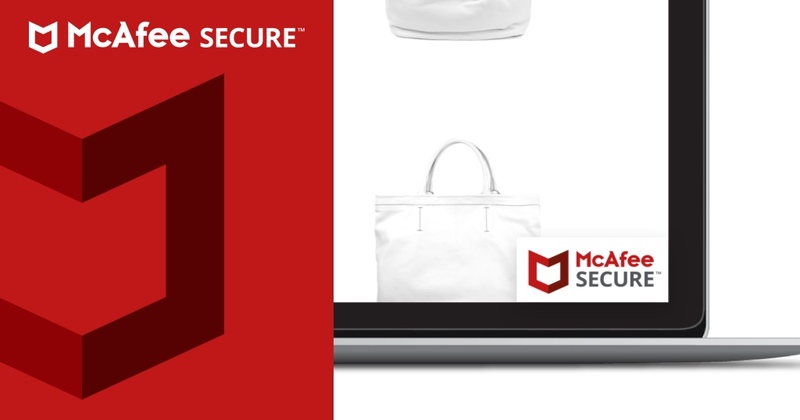 Upgrade to McAfee SECURE Certification Pro and get premium features that are proven to increase sales, including: unlimited trustmark views, Identity Protection, search highlighting, the complete trustmark system, search engine submission, and website diagnostics.